American businessman Phillip Ruffin expanded his gambling operations through the purchase of the Florida-based Casino Miami. Ruffin, who also owns Las Vegas’ Treasure Island, secured the purchase shortly after the passing of a new amendment at the beginning of November that could hinder gambling expansion in the state. The businessman spoke about his first casino purchase in a decade this Wednesday but refused to share details on the exact prize. The gambling venue was last purchased in 2014 for the sum of $155 million. It houses over a thousand slots and electronic table games and generated a revenue of $60 million in the first tens months of the year, according to data released by the Center for Gaming Research with the University of Nevada, Las Vegas. The venue also offers off-track betting, live shows, and jai-alai games. According to the businessman’s spokesperson, Michelle Knoll, Mr. Ruffin’s intentions are to add a hotel to the property. Ruffin himself elaborated on some of the reasons behind the purchase. In his words, the 200,000-square-foot property is located in close proximity to the Miami International Airport and this was one of the chief reasons for his decision to make this purchase. 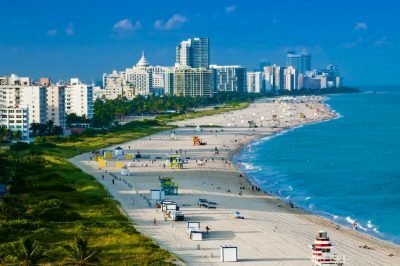 The businessman considers this a strategic spot since as many as 45 million people pass the Miami International Airport on an annual basis. Ruffin also drew a parallel between Miami and Las Vegas, explaining there is a proliferation of gambling venues in Sin City but this is far from being the case in Miami. 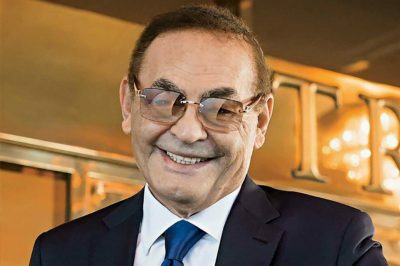 His last purchase took place nearly a decade ago when he bought the Treasure Island Hotel & Casino from MGM for the sum of $774 million back in 2009. It is estimated this purchase would have cost him almost twice as much in present days. The billionaire claims building a new casino resort in Las Vegas is a very costly venture since the expenses for a single hotel room could sometimes reach the hefty sum of $1.5 million. The news of Ruffin’s latest casino purchase comes only a month after the approval of Amendment 3 by Florida voters. The changes in the state’s legislation give voters the right to authorize casino gambling, a privilege that was previously reserved for the Florida legislature. Voters will have a say in whether or not dog and race tracks can expand their operations to feature casino gaming. In accordance with the changes in legislation, race tracks in Florida will have to gain the approval of voters across the state before they are allowed to add casino gambling to their premises. This might have a significant negative effect on further gambling expansion in the state. The passing of Amendment 3 was embraced by the entertainment conglomerate Disney and the tribe of the Florida Seminoles, who operate several gambling establishments within the state, including the Seminole Hard Rock Hotel & Casino in Hollywood, Florida. The amendment’s approval apparently boosts the value of gambling establishments like Casino Miami that already hold valid licenses for the operations of casino-style games. Casino Miami is only one of the eight commercial gaming properties that are licensed to operate in the state, not counting those run by the Florida Seminoles. The eight commercial casinos have registered cumulative gaming revenues of $547 million in 2017 alone, which is a 17% increase from 2014.